Sammy Chege a volunteer reads an excerpt as James Murua listens. 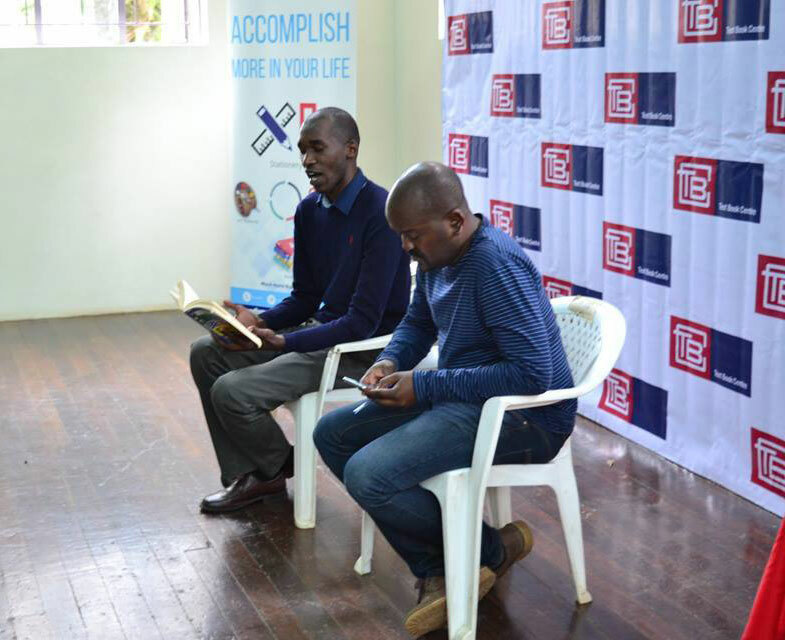 The Text Book Centre Book Club made its debut at the Kenya National Theatre in Nairobi on Saturday June 11th, 2016. Full disclosure: The person writing this blog is an interested party and he was the moderator for the event. It may contain extremely positive reviews. The Text Book Centre which was founded in 1964 as a partnership between two businessmen in Kenya, Mr. S V Shah and Mr. M J Rughani is the biggest and most diversified book-seller in East Africa. The book store is the leading bookstore chain in Kenya with over ten different branches in Nairobi, Kakamega, and Kijabe. The Text Book Centre has been having a book club online where they recommend books monthly and they then give discounts to those who sign up. The book club was born on March 1, 2015. This month, the good people at TBC as many call it within the industry decided that it was only fair that they bring the online initiative into the light of day. 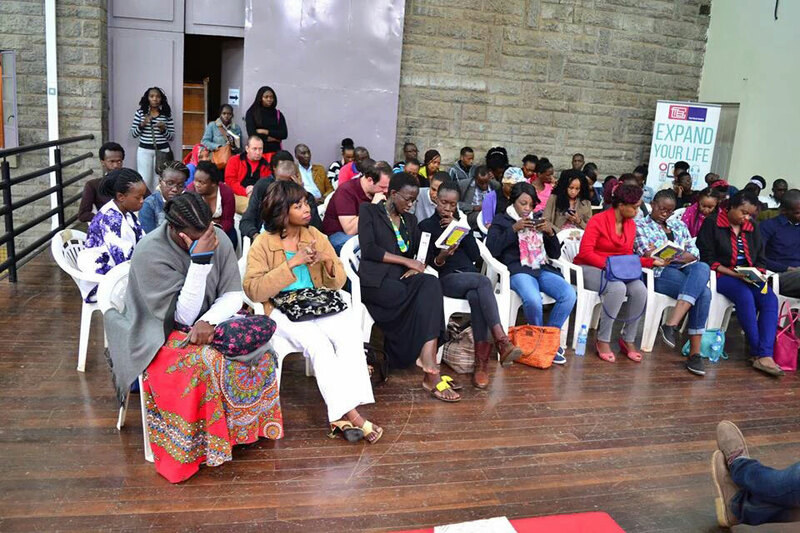 They called out to their fans on social media to go to the Kenya National Theatre for the first meeting of the TBC Book Club. The book they would be discussing would be Noviolet Bulawayo’s We Need New Names and the moderation would be done by blogger James Murua. The turnout at the theatre, which for those who haven’t been to the new look since it was refurbished is awesome, was quite healthy to put it mildly with at least hundred people showing up for the event. The moderator opted to pick the theme of identity which many Kenyans will be familiar. The three excepts read by volunteers from the audience were from instances where people who were not from the continent were experiencing it. They included a white woman in a bathroom in the USA, a Zimbabwe returnee and Darling the main protagonist in the novel after being in the states for many years. The audience half of whom admitted to not have read the book, engaged enthusiastically on these topics. The event was said to be a success to those who were attended as far as this commentator was concerned. You can see more images from the event on this Facebook page here.